The new TV trailer for Spider-Man: Homecoming sees Tom Holland as Peter Parker living it up in his new superhero suit. Homecoming is the next Marvel Cinematic Universe Phase 3 film and was directed by Jon Watts, with Tom Holland starring as the MCU version of Peter Parker. With just over a month left before the movie hits theaters, Marvel Studios and Sony Pictures have released the final Homecoming trailers and posters - though marketing in general for the movie is far from over, as the release of this extended TV spot illustrates. Following the blockbuster success of fellow MCU tentpole film Guardians of the Galaxy Vol. 2 - the James Gunn-directed sequel that continues to barrel towards a worldwide box office take of $1 billion - things are definitely looking up for Watts and Spider-Man: Homecoming. 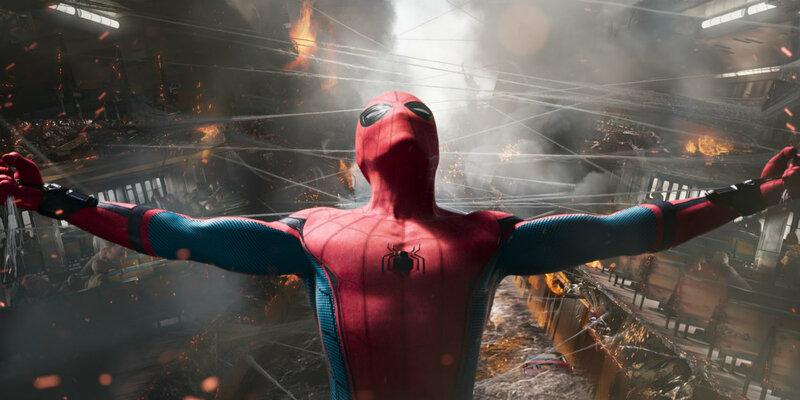 Following the dissolution of Andrew Garfield's turn in the title role in the Sony-produced The Amazing Spider-Man movies, Holland and company have quite the task ahead of them if they hope to continue redeveloping the Spidey character in the MCU - a task that includes selling audiences on Peter's tech-heavy suit in the film. The above Spider-Man: Homecoming TV trailer offers yet another sneak peek at the web-slinging shenanigans soon to come in the MCU franchise film proper. Focusing on Peter Parker's unbridled enthusiasm for the superhero suit specifically designed for him by Tony Stark - as was first depicted in Captain America: Civil War last summer - this new TV promo highlights the fun-loving nature and atmosphere of Watts' take on the Spider-Man character. Featuring a brief appearence from Michael Keaton as Homecoming's central antagonist Adrian Toomes aka. The Vulture - in addition to more than a few coy nods to the other members of The Avengers team - the latest TV trailer for Spider-Man: Homecoming ups the ante even further for the forthcoming summer movie season release. Based on everything seen thus far, Watts may well have a veritable crowdpleaser in the bag, and longtime fans of the original Marvel Comics character could be in for a real treat. Only time will tell just how well Spider-Man: Homecoming fares at the box office, but with any luck, longtime fans will be pleased with how Marvel and Sony have managed to recast the character in the same light afforded to the MCU. In the meantime, here's to hoping for the very best from the film.